We know pictures are worth a thousand words. We have compiled some of those images from our friends in Puerto Rico and some of their personal stories they have shared. Please take a minute to learn a little more about our friends and colleagues who are continuing to endure the wrath of Hurricane Maria. First of all let me give you a little background about me. I am a Civil Engineer, Partner in a company named Aquapak Systems and I have been in the Water and Wastewater business for more than 25 years. I am married to Ana and father of Eduardo, Adriana and Andrea. We have two grandsons living in the USA, one is 4 years old and the youngest was born 12 days before Hurricane Maria. We haven't been able to see him yet. We live in a fairly good neighborhood near San Juan in a two story concrete house built back in the 90's. This was not the first storm we have faced in this house but surely the most frightening one! After a long day and night we came out without any major damage and thank God, unharmed. All of my family members (including my dogs) came out OK. I just can't say the same for many of our fellow citizens. 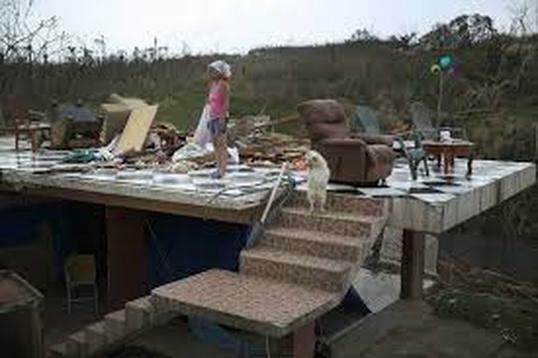 The level of destruction was massive as you probably have seen in many news reports that have circled the globe. Fifty years of infrastructure were destroyed within hours by this "Monster" and it will take years for the island to fully recover. We are in the percentage of those who by now, have running water and electric power. Power came back in our area about a week ago, yet power is still sporatic. 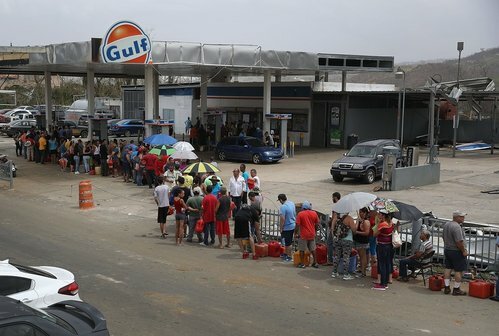 There are sectors in the island that most certainly will be without power for months ahead (forget about what you read or watch in the news media) and water is also going to be a big problem in rural and remote areas. 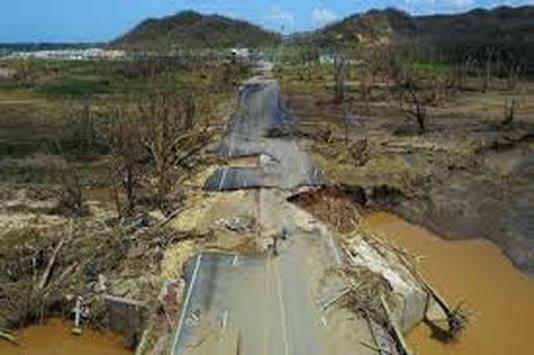 I have seen a lot of volunteers and organizations bringing aid that is certainly much needed in many communities through the island but the reconstruction effort is a long road ahead. The picture at the right marks the spot where Hurricane Maria entered Puerto Rico on September 20, 2017. 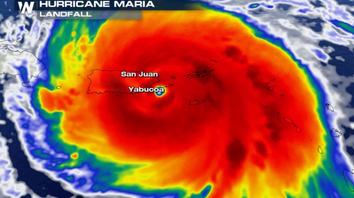 It is said this is the last image produced by the National Weather Service Radar in Puerto Rico before the storm blew the radar away. The North Coast Super Aqueduct located in Arecibo, just days after Maria made landfall. This water system supplies source water to more than 2.5 million people on the North Coast of Puerto Rico. "I feel fortunate to have a house, a little bit of food, and a job"
​There was a Puerto Rico before Maria. Now there is a new Puerto Rico, which is completely different than the one we know before. It will be like this for a long time. Palermo lives in Dorado, a 23-mile drive west of San Juan. Although it's been more than six weeks since Maria struck, Palermo and his wife still live without running water or electricity. Their home is in an upper middle-class neighborhood, but they take bucket showers with rain water, do their laundry in the street, and typically eat crackers and canned sausages, which Palermo picked up by the caseload when he was in Miami recently on business. That was easier than trying to get the limited amount of food and supplies in Puerto Rican grocery stores. "If you are lucky enough to get bottled water, you are limited to one case, " Palermo said. " Batteries, same thing. If you are lucky enough to get batteries for flashlights, you are limited to four." Because of the lack of running water, many Puerto Ricans do their laundry in the streets after it rains. "We sit at the edge of the curb. You have that little stream that runs in the side of the street" Palermo said. "You see 50, 60, 70 people washing their underwear, their shorts. I laugh now, but it's kind of sad that we have shifted to an economy that we had maybe 80 years ago, where that was the only thing you do. "There was not water available, so you would wait for a little bit of rain to collect to wash your clothes." "We get together and cook whatever we can find", Palermo said. "You don't have power, so you can't run your refrigerator and keep typical groceries in it. If you go to the store, you can stand in the line for two or three hours just to get in. At night, we sit there and look at the stars because you can't see anything else. It's all dark." In the morning, Palermo gets up and drives to his office in San Juan at Integrated Global Solutions. Pre-hurricane, the commute was about 30 minutes. Now it takes two to three hours "because the bridges and roads aren't there anymore. It's only one road ther now and the traffic is just out of control." "After the hurricane, a lot of people were calling me and they were asking, 'How are you guys doing?' I say, 'Okay', but my okay is what i just described to you. Others have nothing - no house, no car, no job, nothing. I feel fortunate to have a house, a little bit of food, and a job." Palermo tells the gut-wrenching story of a baby boy who was born the day of the hurricane. He died a few days later because his mother had no food to eat and was unable to produce breast milk. "He was buried near a group of houses, in a hole in the corner of a field", Palermo said. 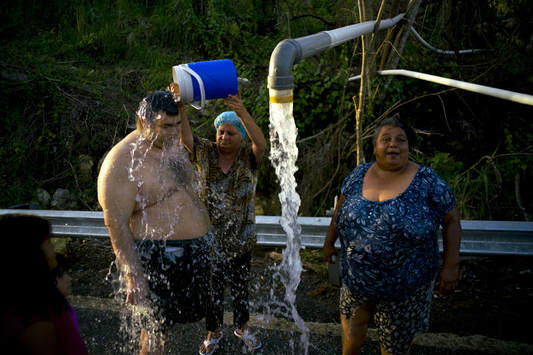 Puerto Rican residents utilize water runoff to bathe.